Robert Morris will start its 2018-19 regular season with a home-and-weekend against Bowling Green on Oct. 12 and 13 to start the program’s 15th season of Division I hockey. The Colonials will also face Penn State in a home-and-home series on Nov. 9 and 10 and will host Brown, St. Cloud State and Union in the seventh annual Three Rivers Classic on Jan. 4 and 5. In Atlantic Hockey play, Robert Morris will start conference action with six straight home series. The Colonials will have at least one home game in five straight weekends to start the season. Oct. 19 and 20 Army West Point will visit RMU Island Sports Center, followed on consecutive weekends by RIT and Niagara. 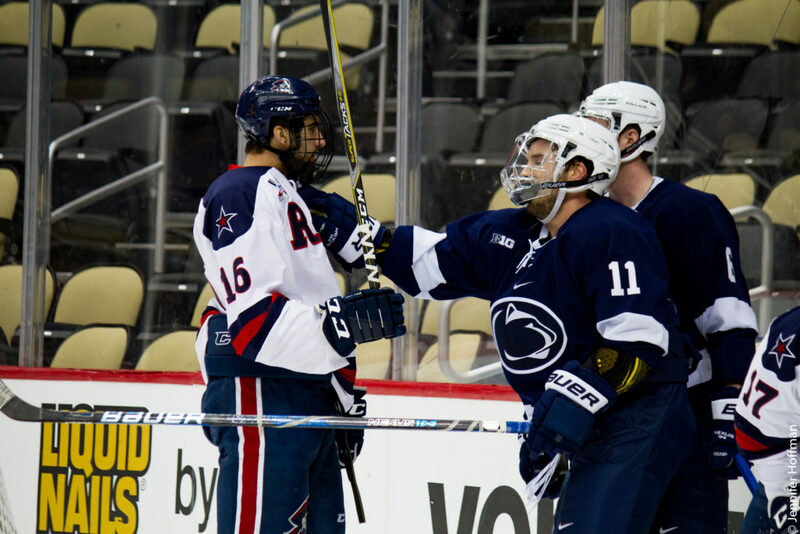 After the Penn State series, the Colonials have an off week, and then a holiday home-and-home with Mercyhurst. The Lakers will come to Neville Island on Black Friday, Nov. 23, and the Colonials will play in Erie the on Saturday, Nov. 24. The first half wraps up with a road series at Sacred Heart Nov. 30 and Dec. 1 and a visit from Holy Cross Dec. 7 and 8. Coming out of the break, the Colonials will visit AIC on Dec. 29 and 30 before hosting the Three Rivers Classic on Jan. 4 and 5. Robert Morris will play Brown in one semifinal, with St. Cloud State and Union matching up on the other side of the bracket. The times and venues for those games are still to be determined. Back in conference action, Robert Morris hosts Bentley Jan. 11 and 12, visits Canisius Jan. 18 and 19 and then makes the long trip to Air Force Jan. 25 and 26 for a chance at redemption against the team that ended their 2017-18 season in the AHC Tournament final. In February, Sacred Heart comes to Pittsburgh Feb. 1 and 2, RMU visits Holy Cross Feb. 15 and 16 and RIT Feb. 22 and 23. The regular season will wrap up with a home-and-home series with Mercyhurst, at Erie on Mar. 1 and at RMU on Mar. 2.